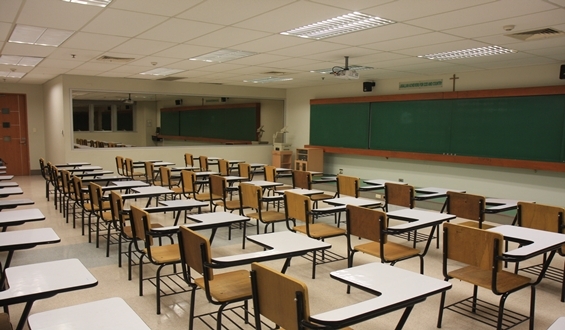 The size of students classrooms have always been a topic of heated debate. Parents, teachers, state and local education departments have a hard time agreeing on this topic. Studies have shown that students in smaller classrooms achieve a better education and level of learning. The problem with smaller class sizes is that schools will need to hire more teachers to accommodate the students. This leads to the problem of funding, because smaller class sizes means more money. Here are some of the negative effects commonly associated with larger class sizes. In a large classrooms students are less likely to participate in group discussions in comparison to a smaller classroom. This means that because there is less opportunity to participate, many students’ voices will go unheard and students will become disengaged from learning. High school tutoring is a great way to get students to become engaged with the content they are learning. Elementary school tutoring is also a great option. When the class size is large, the teacher will have much less time to spend with each student. While the teachers are still doing their best to check in with as many students as they can throughout the duration of the class there just isn’t enough time to get to everyone. Without the individualized attention, many students will be left with unanswered questions about what they are learning. To ensure that your child is in fact getting all their learning questions answered consider local tutoring in Chicago. In a large classroom teachers are often times unable to stay on top of a certain student’s strengths and weaknesses. In a smaller class the teacher is able to take the necessary time to correct or encourage a student in certain areas. In a large classroom student’s skill sets become blurred with one another. Not all students are on their best behaviors in a large classroom. There are some students who can be extremely disruptive to the teacher and other students. A teacher has a better chance at handling disruptive students in a smaller class setting in comparison to a large. If you child is suffering because of a large classroom size, or feeling lost Chicago tutoring is a great option. The personalized one on one setting provides students with the help they need to catch up and stay on top. Teachers aren’t able to properly identity a student’s strengths and weaknesses in a large classroom compared to a smaller one. Larger classrooms lead to less student participation. Larger classrooms often times lead to more disruptive students. Larger classrooms result in less attention from the teacher leaving the students with unanswered questions. Are you interested in Chicago tutoring services? Chicago Academic can help! Click here to contact us today.